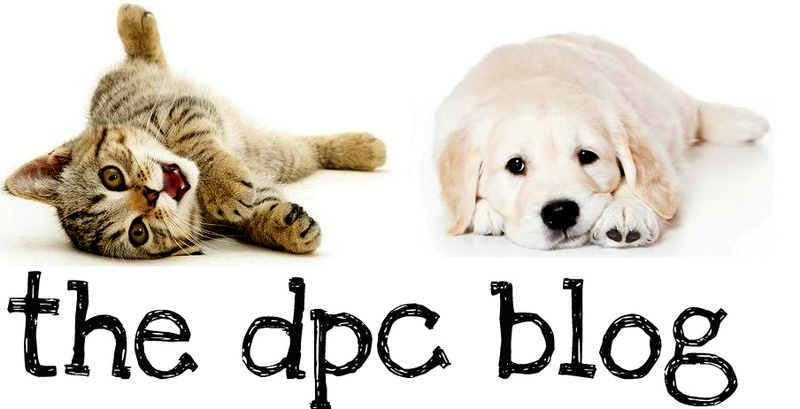 DPC's Blog: I found a stray - What do I do now?! I found a stray and I need Help! Not all strays are abandoned animals or the victim of an uncaring owner. Accidents happen and there may be an owner out there who is desperately trying to find their animal. There is no sure way to tell if a cat or dog has been lost or abandoned. Appearances can be deceiving. Many lost animals quickly take on the classic behaviors, and appearances associated with abandonment such as being skittish, traumatized, underweight, and matted or disheveled. PETS 911 makes the following recommendations for trying to locate a pet’s owner. However, please note, if there are physical signs that the animal has been abused, call your local animal care and control agency immediately for assistance. 1. Always handle the animal carefully. A frightened or hurt animal may behave unpredictably. Do not put yourself or the animal at risk of injury. If in doubt, call your local animal control agency and let the professionals do what they are trained to do. 2. If the animal has license or ID tags, contact the telephone number listed or the issuing agency for license or microchip tags. Either way, this is a good sign that there is an owner out there who is probably anxious to find their pet. 3. Check inside the animal’s ears, on its gums, or the inner surface of the hind legs for tattoos. 4. Contact your local animal care and control agency and report that you have found the pet. Hopefully, the owner has contacted them too. In some municipalities, you must by law turn in a stray pet. People who have lost their pets visit local shelters every day. Taking the found pet to the shelter may be the best thing you can do for it. If it is there, the owners can reclaim it. If you want to keep the pet at your home if no one claims it, you can always ask to be notified if the pet is not reclaimed. Once notified, however, you will want to pick it up right away. In some areas, all found pets must be surrendered to the authorities. Check the laws in your town. If you do elect to keep the pet at your home, please provide all local shelters with a descriptive flyer with multiple photos of the pet. Make identifying the pet easy for the workers and for the owner. Be sure to provide your contact information. 5. Have the animal scanned for a microchip. Some Humane Societies and vets offer this service for free or for a small fee. 6. If the animal appears to be a purebred, contact the nearest breed club to seek help from club members who may be on the lookout for a lost pet. 7. Search the lost pet listings on www.Pets911.com . If you do not find a match, post a found pet listing with a picture of the animal if possible. Always hold back a few details or identifying characteristics from any listings or ads. If everyone posted to a centralized source, like PETS911, the number of pets who find their way home would skyrocket! More and more people are using the internet for daily tasks and lost and found pets are no exception. We receive wonderful stories of families being reunited every day. PETS911 works! 8. Register the animal with local humane societies and rescue groups offering lost and found services. 9. Check the “Lost” sections of local newspapers and place your own “Found” ad. Many newspapers will offer these ads for free or for a reduced fee. 10. Post found pet flyers in the area where you found the animal. If possible, include a picture and large lettering on the flyer with your phone number and post it at eye level for passing traffic. Also, post it on area supermarket bulletin boards, vet hospitals, groomers, and shopping areas. 11. Talk to area delivery people, postal people, and children. Children often know all of the neighborhood pets. Ask them if they recognize the stray or know of a family that recently lost a pet. Someone called and claims that the stray is their lost pet. Now what? It is easy to be swept up in the excitement that your efforts have been rewarded and your foundling is going home. Most likely everything is in order. However, there are unscrupulous people that appear to be loving and concerned pet owners; but instead sell animals for research, as bait for fighting dogs, or as a breeder for puppy and kitten mills. Here are some tips to ensure that the person claiming the animal is legitimate. 1. Ask for identification. When someone calls in response to your postings, ask for the caller’s name and telephone number and tell him/her you will call back right away. If they will not give you this information – Beware! 2. Ask for a description of the animal. An owner should be able to give you details about the animal not mentioned in any of your ads or flyers. 3. If you are satisfied that this is the legitimate owner, arrange to meet at a neutral public location. Ask the owner to bring identifying materials along such as photographs of the animal, AKC papers, veterinary records, as well as their own ID. Most loving pet owners can easily provide this information and will be happy that you are taking such care with their pet. Nobody has claimed your stray. What are your options? Unfortunately, despite your best efforts, a stray’s owner sometimes cannot be found. In this event, you will have some decisions to make. 1. You could keep the animal as a permanent part of your family. Often the stray bonds with its rescuer and integrates nicely into its temporary home. Consult your local animal care agency though, to make sure that you have satisfied state and/or local requirements so that you can claim ownership of the stray animal. 2. You could try to find a home for your rescued stray. There are several things you can do to ensure that you find a good permanent home for the dog or cat you found. Talk to friends and neighbors who might be willing and able to give the animal the loving care and companionship it deserves. This is a great solution as it allows you to be able to follow up to ensure the animal’s well being. Seek help from Animal Rescues, Shelters, and Humane Societies. Check to see if they have room to take in your stray. Ask them for their guidance and help in placing your foundling in a new permanent home. Even if they are not willing to take them in, perhaps they would agree to post him as an adoptable pet along with their rescued pets on www.Pets911.com. You can take your stray to an animal shelter. Most shelters and animal control agencies have limitations due to the sad fact that there are more dogs and cats than available homes. Shelters also often suffer from space limitations and funding limitations. This means that they cannot accept every animal that is brought to them and sometimes animals are euthanized to make room for new arrivals. “No Kill” shelters often do not have room and will only be able to take an animal due to a dire emergency. To be certain that you understand what most likely will happen to the animal; ask questions about the shelter’s policies. Ask about the size of cages and runs, adoption screenings, and the circumstances that allow animals to be euthanized. Run ads, place flyers at veterinary offices, grocery stores, etc. Ask a local rescue or shelter to allow you to use one of their adoption applications to help you to screen a potential adopter. Be sure to also ask lots of questions including: Have they had pets in the past? If so, where are the pets now? Who is/will be their veterinarian? Are they willing and able to cover veterinary care and unforeseen medical expenses? Get all of their contact information including name, address, and telephone number. Get personal references and check them. Get promises that the animal will be allowed to live inside the home. Ask for a fee of at minimum $25.00. If a person balks at paying this fee, it is a sign that they would not pay for needed care for the animal. There should also be a provision in the agreement, allowing you to come and visit the animal three or four weeks after placement.